Travelling From Nagpur To Mumbai In 10 Hours Is Not A Far-Fetched Dream Anymore! Apart from cutting Nagpur-Mumbai travel time to 10 hours, it will also connect backward regions of Vidarbha, part of North Maharashtra and Marathwada. The Maharashtra government’s ambitious project, the Nagpur-Mumbai Expressway, named as Samruddhi Corridor has some far-reaching and significant socio-economic and political aspects. The best aspect of this project is that the travel time between Nagpur and Mumbai will be reduced to 10 hours. The primary objective of the mega-project was to enhance road communication, criss-crossing and connecting backwards regions. Apart from drastically reducing the distance between Nagpur-Mumbai travel to 10 hours, it will cover the the backward regions of Vidarbha, part of North Maharashtra and Marathwada. The project would be undertaken in two phases. It would be completed in a time-bound manner by 2019. 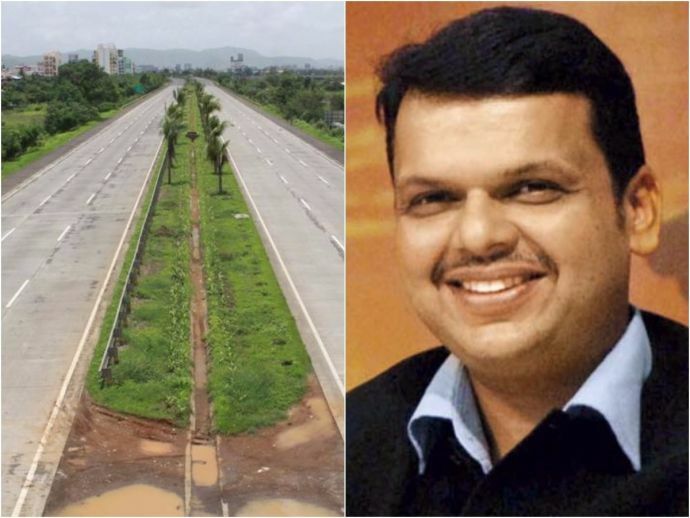 The first phase beginning in 2015 end, it will complete 4 lanes and later in the second half six lanes,” Fadnavis told the Indian Express. Although the construction of this project got delayed, But better late than never! The work is of this much awaited project will finally start this year from October 1. The Maharashtra State Road Development Corporation (MSRDC) has given the contractors a period of 30 months to complete the eight-lane project. With a system of rewards in place, it hopes to complete the project by October 2019. The pre-qualification bids will be opened on May 25 and the financial bids will be opened in late July or early August. We will give the work orders in August. Addressing a press conference on Friday, RL Mopalwar, vice-chairman and managing director (VCMD) of MSRDC, said that the expressway connecting Nagpur and Bhiwandi has been divided into 16 packages (stretches) and work on all of them would begin simultaneously. “The pre-qualification bids will be opened on May 25 and the financial bids will be opened in late July or early August. We will give the work orders in August,” he added. Regarding the land acquisition problems, he spoke of two stretches being problematic. One was an 8km stretch in Nasik district where residents of about four villages were against giving their land. The second stretch, 13 km long was in Amravati district where eight villages were opposing the project. “We are trying our best to persuade the land owners to give their land. If that does not work out we will go in for compulsory acquisition,” he said. Mopalwar also mentioned that out of the 700 km length of the expressway, joint measurement survey of 670 km had been completed and they will start giving the compensation amount from the coming week. He also admitted that land pooling method had not evoked much response and 80% of the acquisition was being done through direct compensation. The owners were being paid five times the market rate as per rehabilitation law. The toll on express highway will be around Rs 2 per km for cars and Rs 6.50 per km for heavy vehicles. “Thus a person travelling from Nagpur to Mumbai will have to pay Rs 1,500 as toll. It is very reasonable if you take the saving in time and fuel into account.” The expressway will not have any toll plaza on it. “Toll will be charged only at the entry points and the booths will be beside the expressway,” Mopalwar added.